The Law & Public Safety Program at Warren Tech prepares students to pursue a variety of careers in the law enforcement and public safety industry. 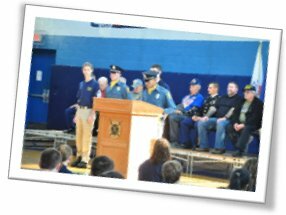 Students in the program go on to college, pursue careers as police officers, emergency service personnel, Wildlife, Fish Game Officers, armed forces and more. 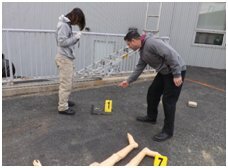 Students learn about basic and advanced first aid, crime scene processing, report writing, forensics, crime scene investigation, evidence gathering technique, the legal system, the court system, fire extinguisher use, traffic control, power line incidents, and are certified in CPR/AED. Students in this program will complete summonses and criminal complaints along with completing the required investigative reports. Interviewing and interrogation skills will also be developed. 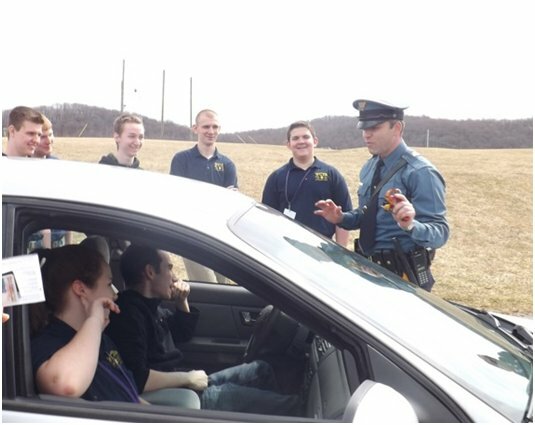 Students participate in the simulation exercises in conjunction with local officers and agents of these offices are brought in for ancillary instruction. Certifications such as first responder, CPR/AED,ICS 100 & 700, and HAZ-MAT can be obtained. Students in the Law & Public Safety program will have the opportunity to practice skills learned through live simulations in conjunction with local law enforcement offices. Students in this program may have the opportunity to receive certifications in CPR/AED, Blood Borne Pathogens, Incident Command 100 & 700, HAZ-MAT, and others. The Warren Tech Law & Public Safety Career Academy prepares students for a variety of paths upon completion of the program. Students are prepared for college, law enforcement, military, and emergency responder careers. Students enrolled in the Law & Public Safety Academy classes at Warren Tech are prepared for college. Many students’ pursue college degrees in law enforcement, criminal justice, and corrections programs. Students in Building Technology have the opportunity to compete in SKILLS USA in various competitions to include carpentry, masonry, and more. Law & Public Safety students are also prepared for military careers. Students will participate in activities with local military recruiters and be introduced to careers in the armed forces. Students in the Las & Public Safety Career Academy also have the track of preparing for the workforce. Students in this pathway will focus on becoming employed in the field. Students earn emergency responder certifications and network with local law enforcement agencies to become exposed to a variety of careers in public safety. Students in the Law & Public Safety program gain hands experience through collaborative exercises with local law enforcement agencies.